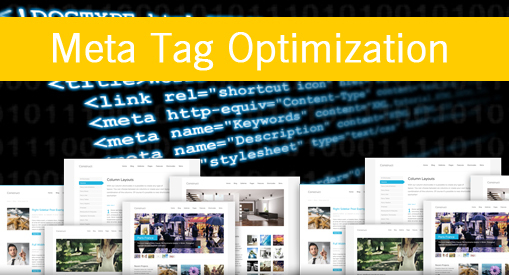 Meta tag optimization is a significant part of HTML codes. Meta tags are inserted into the header of the web page. Meta tags are included in the ‘Head’ tag of HTML document. It is put after the title tag of the webpage. Meta tags are not displayed as a part of your web page but they are read by the various search engines. Though they are read by search engines, they are very important to be form. All search engines are using title tag optimization to index websites with their descriptions and keywords. Meta tag analyzer is also used by search engines to get the information about webpage and categories them right way. Main significant tags are as follows. To be found your website in most search engines, one must use important and related META TAGS and also good TITLE. You can use many different Meta tags. Title of the web page is very important and other Meta tags like description Meta tags, keywords Meta tags, and the title tag are also very important Meta tags. The keywords tag: search engines categories your site with the help of the keywords only. Keywords also help people to find your WebPages with fast manner. So keywords are precise and specific to get ranking in top search. The description tags: description tag is used to describe specifically about the page. On displaying the list of links, search engines get and supply that content of the description and display it with links. Description can be seen listed on the search result page.